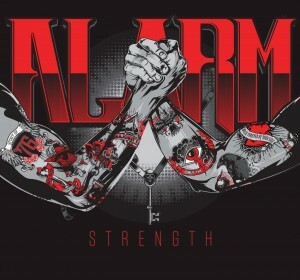 In celebration of Mike Peters birthday and the release of Strength 2015 on this day the 25th February 2015, thealarm.com is proud to share the exclusive album preview of STRENGTH 2015. A brand new and exclusive interview with Mike Peters himself will appear on the official Alarm Facebook page at 1900 GMT tonight. 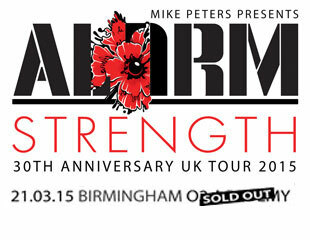 The interview was conducted by the alarm.com founder Steve Fulton and delves into the creative process that fuelled the new Strength album covering a wide range of subjects and published exclusively to mark the day when Strength 2015 is made public and the beginning of the Strength World Tour. Strength 2015 CD / LP / Collection is available to order now.